2019 will see the Annual International Weight Stigma Conference reach 6 years old and the sixth annual event. The conference will be held on June 20 and 21, 2018, in London, Ontario. 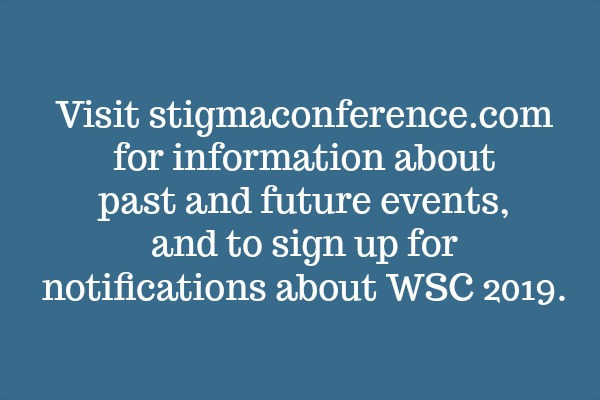 If you want to learn more about the conference or sign up to be notified of updates on themes, speakers, and abstract submission, visit: Stigmaconference.com. The Weight Stigma Conference is run by a group of volunteers. We don’t want any payment or profit from what we do, but we do want to make the conference more affordable/accessible to attend for others. We try and keep costs as low as possible, but there are always some people who wouldn't be able to make it without financial assistance. In 2016 we tried crowdfunding for the first time and you helped us to raise 2000 Canadian dollars – enough to fund seven bursaries for the 2016 Weight Stigma Conference in Vancouver. In 2017, you raised £1300 and funded six full and two partial bursaries and in 2018 we managed to fund 12 bursaries. We'd love to be able to do that again. Please help us make our conference more accessible! ALL of the money raised through this process will go toward bursaries for people who might otherwise not be able to attend. We will be 100% transparent about how the money is allocated. If you are unable to donate money, please donate your time and help spread the word by reaching out to other possible donors. And if you know of any corporate or other interests who may be interested in sponsoring or advertising at the event, please do get in touch. PS. If you are attending the conference this year, you can also make a donation through the registration page.